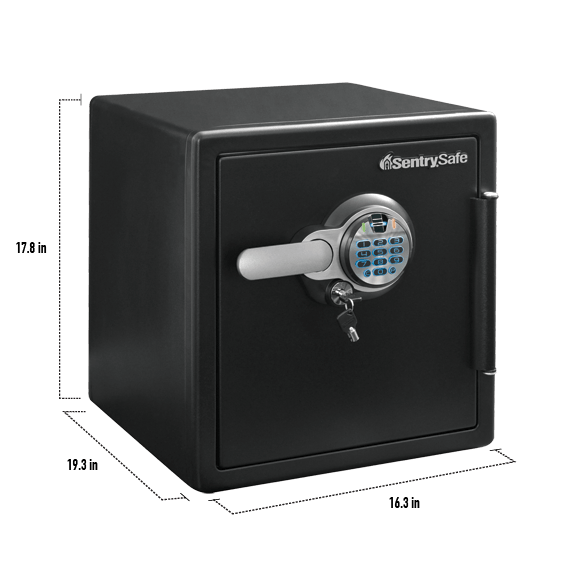 SFW123BUC Fingerprint Fire/Water Safe is rated 5.0 out of 5 by 5. The SentrySafe SFW123BUC is designed with you in mind. 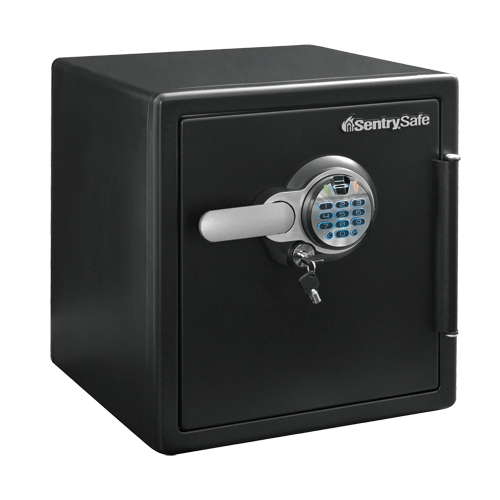 This safe offers peace-of-mind with UL Classified fire protection and ETL Verified water protection. 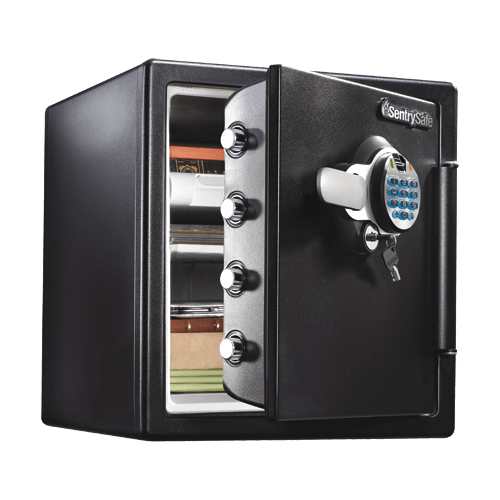 Solid steel construction, a biometric locking system, and a pry-resistant hinge bar protects your valuables from unwanted access. Interior shelving helps you stay organized, while keeping your items secure. 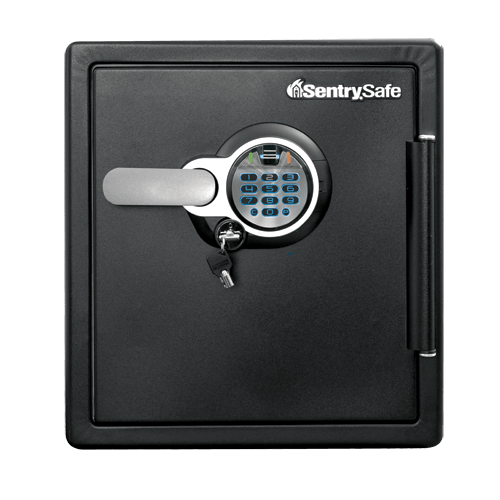 Rated 5 out of 5 by Lynne234 from Strong and Secure Safe This safe is sturdy and reliable, it will keep everything secured and has a convenient finger print access ability or even just a number pad lock, more convenient than an old number lock. Its ability to be both fire and water resistant offers ease of mind as you are guaranteed your items to be safe. Would recommend! Rated 5 out of 5 by Brian57 from Safe At Home So far we have been really happen with the product. Very easy to use. Only problem so far is that one of the numbers on the keypad tends to stick so there is an issue with keying in the numerical combination.